There’s a new Proof Brewery in town, and it’s here to stay. But you might not recognize it when you walk in. The masterminds behind the popular Mango Wit witbier and EightFive-O pale ale have renovated the city’s former downtown Coca-Cola bottling building into something even bigger and better. Tallahassee’s first craft brewery, Proof is set to open its 34,000-square-foot location at 1320 South Monroe St. on Friday, Feb. 8, but Tallahassee Magazine got a sneak peek of the brewery’s new digs. The new space features an expanded tasting room, gift shop, a full kitchen, private event space and a laboratory. There also will be a new restaurant on premises, but the most impressive addition is the 8,000-square-foot beer garden. “They wanted the space to feel like this is your own backyard,” said Bryan Smith, Proof’s sales and events director. The company started brewing in 2012 and has seen tremendous growth since then. Their departure from their Railroad Square location saddened many, but Proof founders Byron and Angela Burroughs saw an opportunity to manifest their vision of a space that was all-encompassing. From a brewing standpoint, they’ve made a huge investment. The company has upped their game with an on-site milling system, a reverse osmosis and water filtration system for all their beers and a large grain storage silo outside the building. Their biggest investment? A centrifuge system that allows them to decrease waste and increase efficiency. A new feature that didn’t exist at the old Proof location is the addition of an event space. 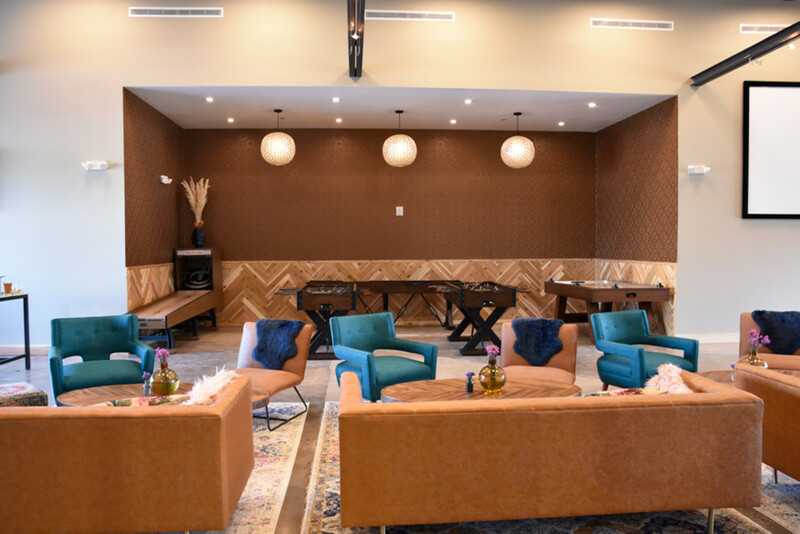 This new space is intended to give patrons a space for rehearsal dinners, meetings, receptions and any other group get-together. On busy nights, the event space will be open to the public — unless it is rented by a private party — adding even more space to the beer garden. One of the most exciting new additions will be the new restaurant — Proper. A collaboration between Canopy Road Café owner Brad Buckenheimer and Izzy Pub and Sushi owner Viet Vu, the new full-service eater will collaborate with the brewery on everything from the menu (there’s avocado toast) and how it will pair with the beer (mango wit + buffalo wings). On the menu, you’ll find a large selection of french fries (and poutine), burgers, small plates, vegan and vegetarian options and, yes, even Sunday brunch. The location will have a soft opening and ribbon cutting on Friday, Feb. 1, when guests will be able to see the facility and try portions of the menu. A week later on Feb. 8, Proof will hold its grand opening, and guests can tour the facility, enjoy a full bar and menu and hear live music from the band Taller Trees.